Rumblings and small eruptions had been going on for maybe three months when the big one came. The plume of ash rose thousands of feet and turned day to night as the most active volcano on the European mainland burst into life in its most famous and devastating eruption, in August AD 79. After about four days, it was all but over. Vesuvius had spewed hot ash and sulfurous fumes over the area. This was particularly bad for the ancient city of Pompeii, which was buried beneath this powdered rock. “Fortune favors the brave,” remarked the author and historian Pliny the Elder, as he attempted to rescue some of his friends from the city, with hot pumice raining down on him. His body was found later, with no apparent injuries. It seems likely, therefore, that he was poisoned by compounds of sulfur from the volcano. Bodies were buried alive. Excavators in modern times have found voids where buried bodies have rotted away. Curious and macabre plaster casts of these voids have been made, revealing the final actions of the unfortunate victims. Volcanic activity is a frightening natural phenomenon. 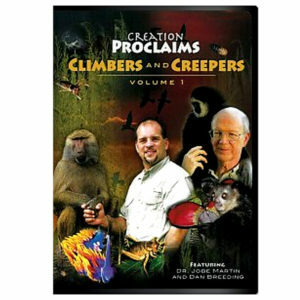 How often has God used such eruptions? Were the fire and sulfur raining down on Sodom and Gomorrah from such an eruption? They might not have been – God is able to make such fire fall from heaven with no volcano, if He so wishes. But it certainly seems that the beginning of the Genesis Flood was brought about by massive worldwide volcanic activity, recorded as the “Fountains of the Deep”. Father God, we stand in awe at Your awesome power when we consider the volcanic eruptions down through the ages. Thank You that, in a small way, this reminds us of Your overwhelming power, and I am thankful that You have used Your power to save me. Amen. Ref: Encyclopaedia Britannica, < https://www.britannica.com/place/Pompeii >, accessed 30/4/2018. 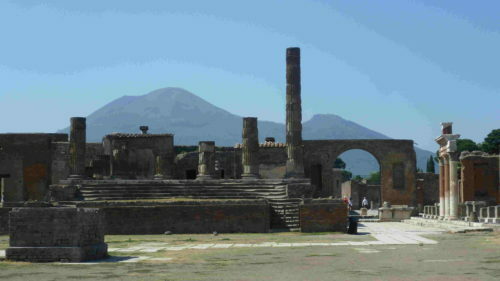 Image: Pompeii and Vesuvius, license: CC BY-SA 3.0.